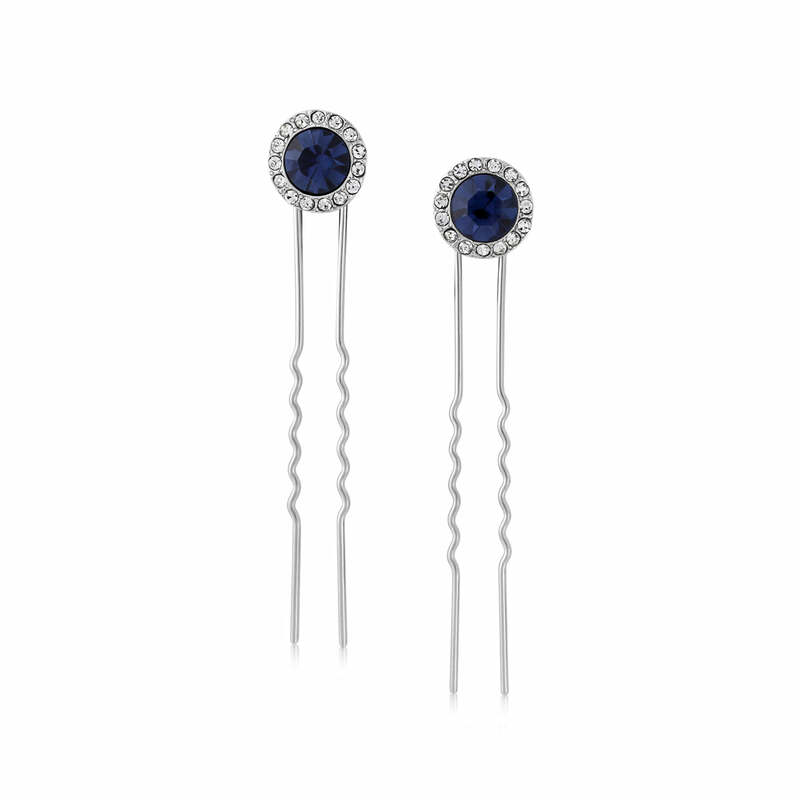 Oozing sophistication our classic navy crystal hair pins are worthy of red carpet status. Reminiscent of a star studded night sky, our Moonlight Shimmer Hair Pins are full of class. Captivatingly beautiful, the dark blue centre crystals are brought to life by a ring of sparkling clear Austrian crystals creating the most desirable of hair accessories. For a glitzy black tie ball opt for a swoon worthy evening gown and scatter these chic navy hair pins amongst an elegant French pleat or team with a classic shift dress and side chignon for city chic flair. The perfect accessories to complement a navy wedding theme, our Moonlight Shimmer collection combines vintage and modern influences to add sparkle with enviable elegance. Team with floor hugging gowns and our coordinating pendant and your bridal party will ooze classic sophistication.